Through simple pulling, the connection can be released. The Hose Connector is suitable for 13 mm (1/2 inch) and 15 mm (5/8 inch) hoses. 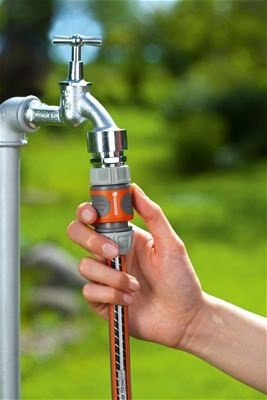 The garden hose can be easily connected to the tap. 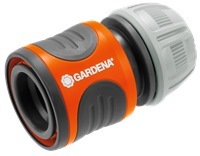 POWER GRIP: Specially shaped sleeve nut for a very tight fit and trouble-free assembly, Thanks to the grooved soft plastic grip, the GARDENA Hose Connector lies well and securely in the hand. 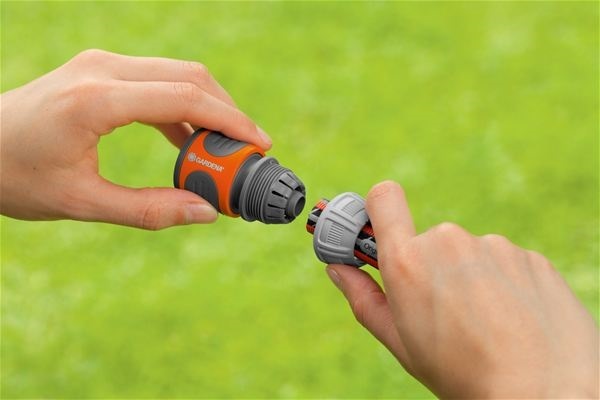 The Hose Connector is protected by a rubber ring that prevents damage.